Renowned evolutionary biologist and author Richard Dawkins will be taking GPS readers’ questions tomorrow. So what would you like to ask? Please post your questions in the comments section below, and we’ll select some of the best questions to ask Prof. Dawkins this week. Next entry »Can Rouhani or Obama deliver on any deal? What's wrong with believing in God? Wars have been fought over religion and over things other than religion. In fact, more wars have been fought due to these other things (such as resources, power, politics, and being an "other") than religion. Not just now but since the beginning of war and conflict. People don't like each other and that's with or without religion. Religion didn't cause people to not like each other or cause greediness, human nature did. Sometimes religion is used to encourage the population to go to war, even though it is not the reason the leadership is choosing to go to war. However even if religion didn't exist those in power, and people in general, will always find some reason to go to war. all rulers claim to have god on THEIR side... even so called atheistic dictators.. claim to be gods to their people. The concept of gods and supernatural powers have been a curse on humanity..
the only good thing about it.. it has helped reduce the population growth.. some what.. but not enough. Actually I'm pretty sure the zealous have more children than the secular, which is why the world is over populated at the moment. too bad we can't have a gender war as successful as we have religious wars.. now that would help the worlds over population. The end of religion will not solve humanity's problems, definitely not any of the major problems. Poverty will still exist in the places it exists today, undeveloped and developing countries will stay the same, wars will still be fought, racism will still exist, greed and gluttony will still exist, over population, all of it. much of the poverty is the result of religious dogma.. over population is a huge part of poverty. all wars have been rooted in religion.. people being fed mythic dogma as proven fact.. instead of scientific knowledge is a huge part of world poverty. All I can say about religion is when I believe I am a better person. I cannot prove God exists, or that God is fair when there is evidence all around of hate,cruelty and unfairness. But I do know the feeling I get. I have tried Eastern Religions and while I may feel at peace and have a sharper mind there is still a sense of deep loneliness. Dan.. read my posts here and check out my suggestion readings and links... Learning the Path of the Calf is exciting.. I'm an atheist. I believe there is no place for a Creator in the universe. However, I also think that if I may believe as I wish, it is not fair for me to tell others that they may not believe as they wish. Where do atheists get off telling Christians and other believers that they are evil for believing? its not their believing in a god that scares me... its what they do with the belief that scares the krap out of me. Do you think that many of our problems today stem from the fact, that whatever their religion, many people believe that man is the center of everything and everything was created for man? We know that the earth is approximately 4.5 billion years old and yet for over 99.9% of that time, has managed to orbit the sun without the need for man, his beliefs and prayers. thats the reason.. most christians and others will not read Daniel Quinn's Ishmael and the Story of B... and will also not read Joseph Atwill's Caesar's Messiah. How do you think is the best way to instill a societal morals based value system without the threat of punishment (a god(s) ) ? Are you implying there is no other way? Are you implying that even if you believe there is no God you should lie and make up punishments that do not exist? It is this that those have to figure out. good reliable laws that... mean business.... we pander to our criminals here.. that's why we have so much crime.. and because those running the criminal system are criminals themselves. Do you research on myths and their creation. Start with the 4 books by Joseph Campbell.. The Masks of the Gods.. then The Golden Bough by James Frazier.. and The Books by Daniel Quinn on Ishmael.. and of course.. Joseph Atwill's web site and books. Caesar's Messiah. how about checking out.. the Annotated Bible web site... the author has a great site on learning the morals of the bible and other religions.too.. What the teach you.. not not what is in the bible..
the study of mythic evolution is a long .. but very interesting road.... Go to the web Site Secular web and visit both their libraries.... You can read the most outstanding information there... it may take you years to complete. and another web site is " The Domain of Man' which explains the roots of the Jewish myth. Artificial meat was recently created in the laboratory. Do you see a moral issue in meat manufactured from human DNA being eaten? Sorry if the question is way off the "where in the hell is God and what does he do all day? ", path. Soylent Green... in our supermarkets and school menus... very soon. No God based questioning here. One about Evolution. Considering the loss / diminishing of our senses that mankind has experienced over time, such as our lower sense of smell compared to earlier versions of humans, would you say it is possible that the human of the future could actually end up with a smaller brain via evolution? of course.. as we create computer slaves and machines... we will only need to eat, breath, multiply,,, soon to lose our distinction of being a live being. as those functions may be reduces or eliminated too over millions of years. I have seen that probably the "main concept" that separates the atheist from the "believer" is that of the "Personal God". Had the subject of religion not relied so heavily on his existence and enforced society's dependence on his presumed dictums that hard, the marked separation between these two groups that we see today might never have been. Personally you have expressed in no uncertain terms your sheer disbelief for the God of the Bible and I can well understand your feelings. We easily observe that the famous middle-eastern "One True God" is just as inaudible and just as invisible as the "false gods" of the ancient Greeks and Romans and those of modern day Indians, Eskimos, aborigines and the peoples living in the deepest jungles of Africa and the Amazon forests. We can also safely conclude that such a God is just as false as those other false ones, no matter how exalted and exclusive a status his followers have given him in their imagination; the object of their faith and the inspiration behind their actions simply doesn't exist. Now supposing we change the entire premises of the discussion by first admitting that the existence of the personal god is the most "inessential" part of the entire subject of religion. Supposing we look at it "purely mechanistically" by admitting that we have "evolved" into a species which is introspective and meditative "by nature"; that we have an uncontrollable driving force within us that compels us to love dance, music and the arts and literature and that the same force makes us "inquisitive" and seekers of knowledge. Supposing we also say that unknown to us in a conscious state, we "create" these gods and goddesses through art and myth, merely to serve as the "focal points" of our meditations. Supposing we say that a child who is born just today, without any advance knowledge of what particular mode of thinking the society he is born into would soon impose upon him, has embedded within him this "introspective mechanism" which is just as strong as that which creates hunger and thirst and which will soon start showing its presence in one way or the other. Supposing we project this idea to the rest of the universe and dare to speculate that if life not only appears in any suitable planet out there but gets sufficient time to evolve into some kind of sentient being, much the same would happen – that they would likely contain the same mechanism within them and express themselves in a similar fashion – leading to the conclusion that our behavioral patterns on earth is by no means "special", just as the very existence of life here is not. Supposing all this becomes the central topic of the subject of religion and not what we have become used to. My question to you then is simply this: would you then be ready to participate in such a discussion? Or, has your mind become so utterly soured that you have reached the point of no return; that you would shy away or even openly oppose "any discussion whatsoever" that contained so much as just the word "religion" in it? Enjoyed your post (for the most part). I'd like to offer a few comments and a correction. 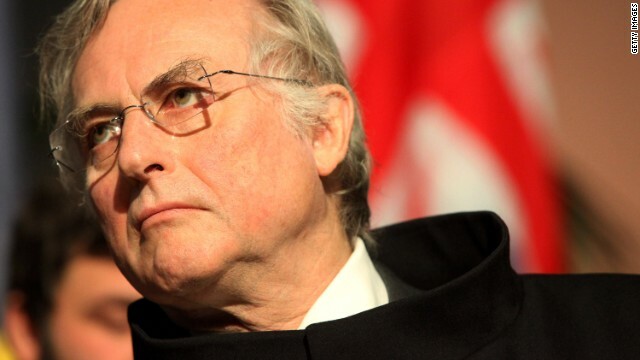 Richard Dawkins is a Ph.D. so the use of "Mr." comes across as insulting. Why not give a learned man the respect that is his due? Also I am troubled by your use of the term "soured." Again I think this is a needless insult. Had you not included these 2 items, I suspect Dr. Dawkins would answer. I like the way you framed the discussion, but do not agree that independently evolved, intelligent life would necessarily view matters the same way by default. We have examples (after a fashion) right here – other primates, dolphins, etc. There is a level of sentience in these other species, yet completely different manners of expression. Maybe I should have addressed him as "Dr." or "Professor". The general way to address any person with respect is still "Mr." and therefore, I had really not meant any insult. I am sorry if it came across that way. Also, in my own mind I didn't think that using the term "soured" would come across as an insult. I have read his opinions about religion quite a lot and seen at least one interview where he discusses the subject. It has been great reading and viewing all this. However, how better can anyone describe his position on the subject except by using some equivalent of the word "soured", if not that word directly? He has made his position amply clear and therefore, to point it out would hardly be an insult as far as I can see. My point though was, whether he would still be willing to participate in a discussion where we changed the "basic premises" of it such that even though we used the word "religion", it would be totally "mechanistic" in viewpoint and would be completely devoid of any reference to a "personal god". In any case, there was no insult at all in my mind, even if you thought so. The reason I took so much time to write to him is because I was absolutely fascinated reading The Blind Watchmaker. He is a superb writer by all accounts. I will read his new book and I am sure I will enjoy it too. By "sentient" I meant at least at the "human" level and not just any level of sentience. Dolphins and dogs might be sentient too in a certain way but are they at a level where they can create art and literature? I was envisioning a species after an equivalent stage of evolution, to have the capacity to do things we do. I have written this response in a hurry and so, please pardon any unintended errors. Religion is different to everyone. I as a Hindu do not believe in religion. Being a Hindu is not following a book of law. Being a Hindu is a way of life (spiritual life) – also known as the Sanatan Dharma. It involves practices such as meditation and mantras. This definitely calms the soul. This calm feeling is not of the brain but the mind of which the soul is. The soul is real to me. Our bodies are just the carriers of the soul is it not? We do not control any of our bodily functions really – processes such as respiration, cell division...etc. we do without realising. Yes it can be argued that we decide to move our hands and legs, etc, but even then thats done by the brain sending out electrical impulses but we as a mind do not control these impulses, we dont even realise that these impulses are being sent across – our body does it when we think it. Doesnt that just make us the mind? And that mind is surely the soul. And also if religion and faith in God is wrong then how come it is still alive today? Other theories such as witchcraft have died because people realised in the end that its ridiculous accusing somebody of being a witch. Religion however is constantly proving it self real at a small scale -eg. through the girl Audery Santo – who got a visit from the Virgin Mary. Ssssssssssh!!! Keep quiet!! I'm not a virgin anymore. check out the web site Caesar's Messiah ... also.. check the youTube and facebook links on the page. Wonder why the christian myth has lasted so long... you will find your answer.. there... and a whole lot more on the christian myth you would never imagine. I've read the 'selfish gene ' and ' the god delusion ' and now i'm studying biology. I have a question about the Quran . In Quran it is stated some facts about the science . foe example it tells some about the big bang or the tectonic plate of the earth . however it strictly disprove the evolution and some other facts . can a book from 1400 years ago tells some true facts which are only discovered in the recent centuries ? I am very confused about this book and its contents . please clarify these controversy for me . Judith Hayes.. AKA the Happy Heretic.. has a great book on explaining what she calls the pearls embedded in mound of Chitz.. Her books are not only funny but very true..
also.. check out Hank... and it time as a door to door religious solicitor ..it too will show how the embedding of good moral stuff in dogma books can be so missleading. another book resource is the Freedom from Religion Foundation.. FFRF... they have a very nice collection of freethought books written by women. Google her.. name there is a lot of info on her..
Dr. Dawkins: How about us Atheists have our own country, so we don't have to hang around the insecure! jeeeezzz... can you imagine... a country most everyone on the planet would envy because of our scientific advancements and achievements because we would not have to pass some dogma test to proceed.. then.. all the mythic countries would declare war on us because we would be blamed for all THEIR problems because their gods would be punishing them for allowing us to exist . then... they would be so focused on getting rid of the infidels.. they would stop killing each other...and ganging up on us.. I think the only way that would work would be is if we had our own planet... not county.. Don't think there is room on this planet for an atheist nation... and I am not calling North Korean an atheist nation because it has its living god... kid Kim nutjob. If GOD is a delusion..a human "creation", how come belief survived throughout thousands of years of human history .. It's the same as saying that if the earth isn't "really flat" how come the "belief that it is flat" survive six thousand years in human history? You can also say that if the sun really doesn't go around the earth, how come the belief that it does survive thousands of years in human history? Likewise, a belief in something doesn't mean that the something exists, even if every single inhabitant of planet earth believed it in unison for ten thousand years. Your "reason" for the existence of God is not acceptable, EVEN IF the God of your belief system does indeed exist. oh my you are a babe in the woods of religious ignorance.. check out my posts here and check out my reading and web link suggestions.. there is enough there to keep you busy for the rest of your life and then some. Belief in the spiritual is a hallmark of humanity since the beginnings of humanity. Spirituality is a very powerful anti-anxiolytic, and anti-depressant, that has the capacity to give humans sensations of peace and tranquility. I'm all for it, despite the fact that it is all in humanity's head. It's just that some need it more than others. Spirituality is real, as real as Santa Claus and the Fairy Godmother. l've never seen Santa Claus or the Fairy Godmother, but I've FELT them and no one will ever convince me that they do not exist. Supernatural myth is still a lie.. not matter how pretty you wrap it or paint it... The Age of Supernatural Stupidity is and always will be a scourge on humanity. Will the losers in sports games ever declare that they lost because God favored the other team? that would be a great comment to make.. after the game in a community that ignored the no prayer at the game law..
Gee we lost.. guess god like the other team better... time to pass the helmet... they must have given more money to god than we did... money talks in heaven. Would it be possible for Richard Dawkins to obtain an interview with the pope to discuss the existence of a god.? Now that would be historic. I debra saw Jesus..when you study the word with a heart of God, he will manifest himself as it is written..And also a Big thanks to Herbert Armstrong...Also it is written to becarefull of our words we speak....every word is accounted for..So study his word with a pure heart of wanting to know him. Dr.Dawkins....What is your view on "Dark Matter/Energy"? I know you are a very busy man but if you have the time would you please consider the answer to my question . Their are upon the Earth species without number but lets take as an example the Human Species ,which evolved first the Male or Female.I thank you in anticipation of your answer .